Amazon has the Little Live Bizzy Bubs Potty Time Playset on sale for $5.11, down from $19.99. This is an add on item and will only ship with a qualifying purchase of $25. 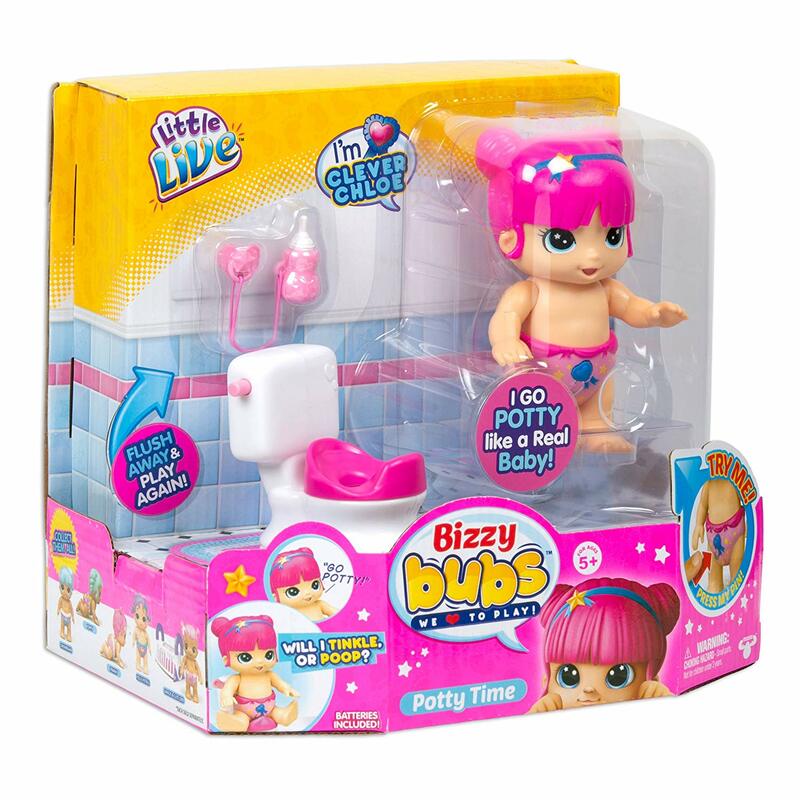 This is a good toy to help with toilet training. Potty time is lots of fun with Clever Chloe! She can go to the Potty like a big girl! Feed her with her bottle - then she will tell you that she's ready to go on the Potty! Place her on her toilet and see what she does. Will she tinkle or poop? Chloe is so clever! She will tell you the answer, you can check the toilet to see if she was right! Flush the toilet and play over again!